It’s easy to think that with the slightest ailment that we’re falling apart. But, we’re usually just being big hypochondriacs! I know I’m guilty. How many times have you webMD’d your symptoms only to find out that you have 3 weeks to live?! GUILTY. Check out some of the common ailments that people have and how you might be able to get rid of them in no time. Maybe I can save you some Googling time. Two of the most common aches and pains has to be back and neck pain. Due to the fact we have to work until we’re old and grey, our bodies just don’t seem to cope as well with the stress. Whether it’s because you’re sitting down at a desk or day, or doing something that involves a bit of heavy lifting, it’ll catch up to us one day. The best thing that we can do is to make sure that you’re stretching your back morning and night. This can either be done through yoga moves or simply lying down on a flat hard floor. You will also need to try and improve your posture at work because despite what you may think, you’re probably slouching! You can get roller mates that lie just in the middle of your back, which will force you to sit up straight the whole day. If your problems are coming from lifting, you need to find out whether you’re lifting too much, or not doing it right. Your work, as part of their health and safety procedures, should have given you full training with regards to lifting, so it might be best to speak to one of them! Foot pain is, well, a pain. If it’s constant pain that doesn’t need pressure to be aggravated, there’s no escaping it. Walking around tends to make it even worse! Dr. Pawlowski, who specializes in foot and ankle care, is just one of the people you should see if you’re having persistent pain. Whether it has been caused by an injury or not, it’s still best to get things checked out before they get any worse! For home advice, you should get some rest. If there’s no improvement after 5 days, then go to the doctor. Use hot and cold treatments at home to see if it makes a difference, along with over the counter painkillers. If there’s one thing we do know, it’s how irritating a headache is. Especially if it’s one that won’t go with the help of painkillers. If you spend your day at a computer, it might be time for you to visit an optometrist rather than the doctors. You might not feel it, but the strain of looking at the computer screen can be damaging your eye muscles causing your pain. It could also be weather and hydration related. Some people forget to drink the required amount of water a day, especially when the weather heats up. 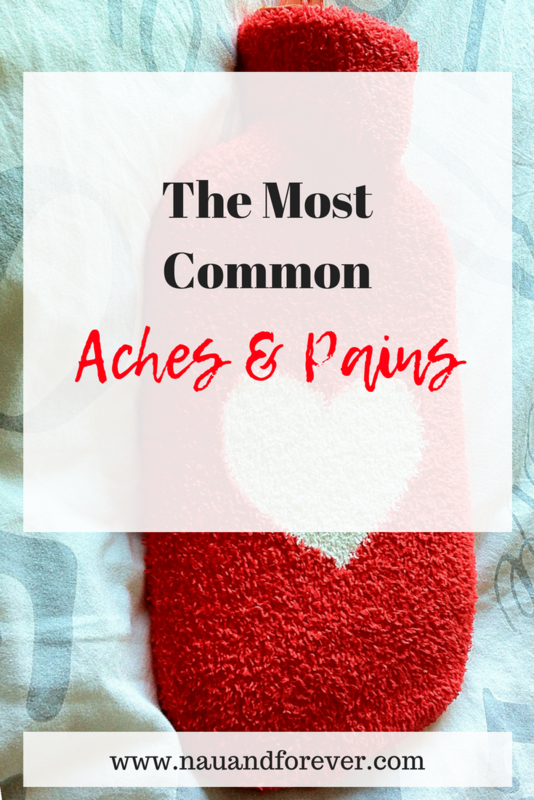 Aches and pains are a part of life and most of us aren’t immune to these common ailments. Knowing how to deal with them quickly and effectively will greatly benefit you.